Launched in 2009, ​Reading Partners empowers students to succeed in reading and in life by engaging volunteers from the Sacramento community to provide one-on-one tutoring. With the help of almost 800 volunteers, Reading Partners provided individualized literacy tutoring to more than 480 elementary school students in 9 schools in low-income communities across Sacramento County in the 2014-15 school year. Using a highly effective, evidence-based program, Reading Partners has helped tens of thousands of children across the country master the fundamental reading skills they need to succeed in school and beyond. 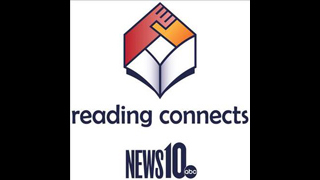 Visit www.readingpartners.org, LinkedIn, Twitter, or Facebook to learn more about how Reading Partners is helping improve student literacy, and how you can help children in your community improve their reading skills and succeed in school.